Check out this end of year sale from DiscountMags.com. 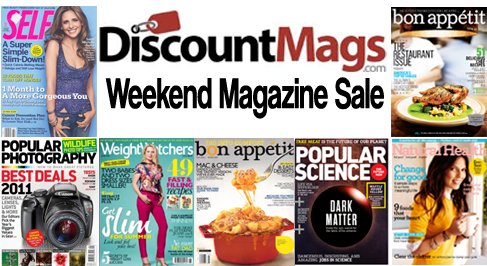 Right now you can get some great subscriptions on top magazines at good prices. Many of these magazines start at $4.50 for an entire year subscription. These prices make these magazines a few cents month. Plus, I find that Magazine subscriptions make great gifts. Enjoy FREE Shipping. This sale ends 1/3 at midnight.